One Postcard a Day: The Fittest City in the U.S. The American Fitness Index (AFI) recently released the ACSM American Fitness Index Data Report, offering a scientific snapshot of the health and fitness level for the major metropolitan areas in the US. Washington D.C., for the 3rd year in a row, ranks as the fittest city. Las Vegas ranks 41st among the bottom 10 cities. 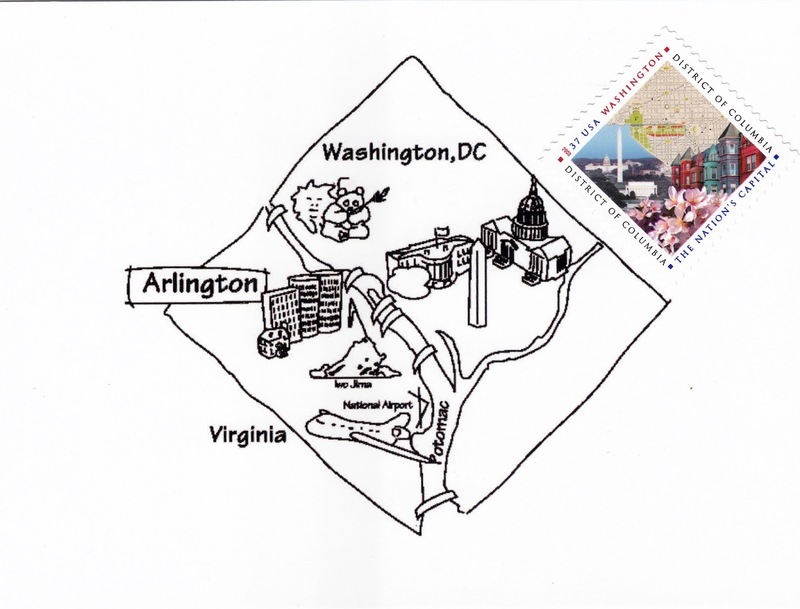 Postcard US-3971221 to Germany shows a black and white map drawing of the D.C. area with a matching diamond shaped 37¢ commemorative stamp issued by USPS on September 23, 2003. Labels: 2003, AFI, black and white, city, commemorative, diamond-shaped, drawing, fitness, Germany, health, index, map, metropolitan, postcard. 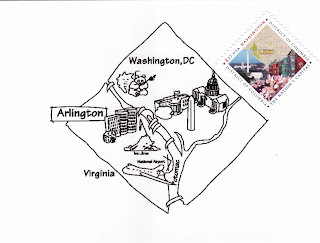 US-3971221, PostCrossing, rank, sent, stamp, USPS, Washington D.C.